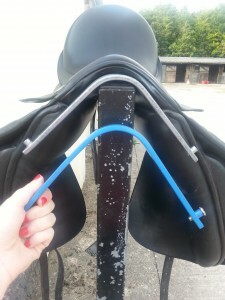 For anyone retraining an ex-racer or bringing on a youngster one of my top tips would be buy a saddle that fits that has adjustable gullets, they will save you so much hassle and a small fortune. When I first bought Dustry I rode him in my Exselle Debut close contact saddle. I pretty much rode everything in this saddle! 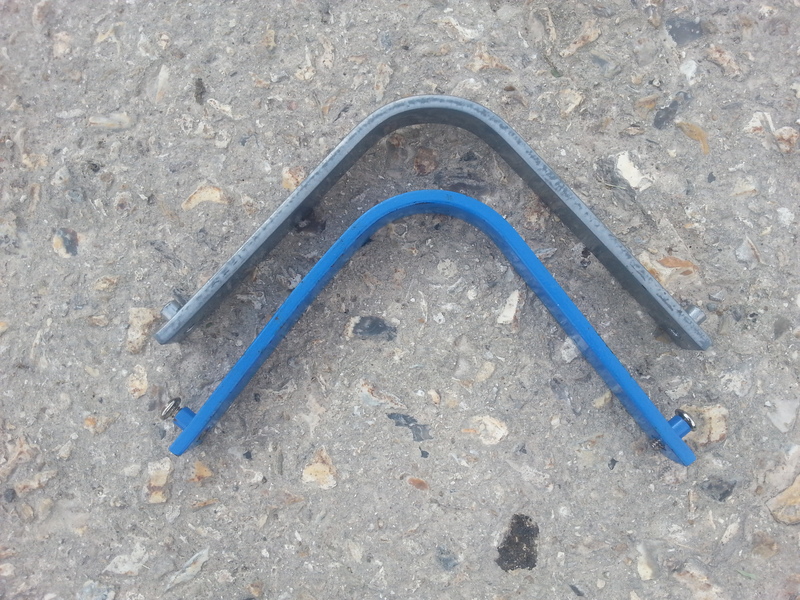 The front points on it were so short that it never impinged on shoulder movement and as a result it also had a massive potential range of width fittings. With a good numnah, half sheepskin or riser pad it would fit on almost anything well enough to be a ‘work saddle’. I used it on an Irish sports horse, full thoroughbreds, a cob and a new forest pony! When I got down to just the one horse I decided it was time to invest in a jump saddle and dressage saddle which could be fitted specifically to Dustry. I wanted something with a narrow twist so that I didn’t feel like I was straddling a barrel when I rode, and ideally something with changeable gullets to accommodate Dustry’s growing and muscling frame. Sadly I had to sell my little Exselle ‘multi purpose’ saddle to raise funds (bye bye super useful saddle) and I bought a GFS XCH ‘Event’ saddle. I loved my new saddle so much I scoured the internet for the dressage version and eBay came up trumps. Both saddles arrived with the standard medium wide gullet in them, and at first this was fine…..but then Dustry grew…..and he grew……..and he GREW!!! He has grown so much in the last 2 years that he has gone up 2 gullet sizes and is now in an Extra Wide gullet in both saddles! Having changeable gullets meant that when I thought the saddle was looking a little tight I simply bought the next gullet up, changed the gullet myself, and called my saddler out to check the fit professionally and make any minor flocking tweaks necessary. Without the option to change the gullets I would have had to sell my existing saddles and find new (well 2nd hand) ones to replace them. The thought of trying to sell and buy a dressage and jump saddle twice over in 2 years is not an appealing idea!!!! 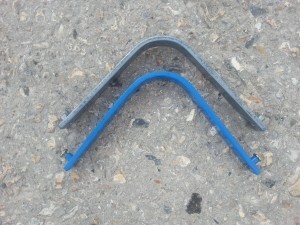 So if you have a horse that you expect to change shape fairly dramatically if you can find a saddle that fits and features adjustable gullets it could be the ideal short term solution whilst your horse develops. When I purchased my mare she was an undermuscled, underweight 4yo thoroughbred mare. We also decided to get her a saddle with changeable gullets for the same reason and she ended up going up two gullet sizes in about 8 months. The other option was to buy a saddle that was too big and pad it up but this was a lot easier.